Do you like what I've done with Firefox (on Vista) Want the same? | DuncsWeb » Technology, Freebies, Gaming, YouTube. Do you like what I've done with Firefox (on Vista) Want the same? If that's not enough to convince you here is a screen shot I made using the Windows Snipping tool. If you want to do this your self a full tutorial can be found here. The link contains all the add-on's and themes you need to complete it. 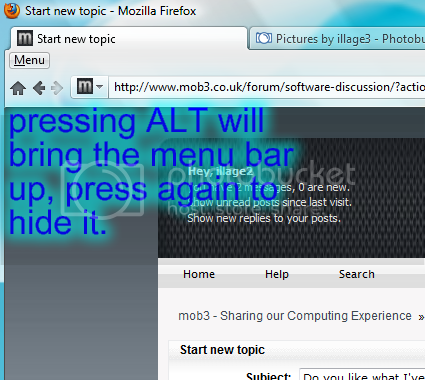 If the menubar disapears press the "ALT" key to toggle it on or off. It's a really good theme I think you all should at least try out. I for one love the theme it's nice to look at. If you are using Windows 7 it will be even more spectacular. There is also support for firefox 3.6 as well. All add-on's can be found by clicking the link. Nice illage2 i like this welldone!